 Peterson (History/Univ. 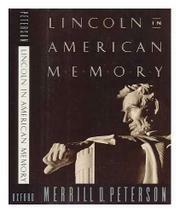 of Virginia; The Jefferson Image in the American Mind, not reviewed) uses the life and legend of Abraham Lincoln to show the general reader how ``history'' is made. It is not a pretty sight. Although professional historians may find little to surprise them here, armchair historians are quite likely to register shock at the consistent disregard for truth among portrayers of Lincoln. Hagiographers were just as likely to be inaccurate and to make the facts fit theories as were Lincoln-bashers. Perhaps the kings of hagiography are John George Nicolay and John Milton Hay, whose 10- volume biography (published in 1890) bore the imprimatur of Abe's family. The dectractors include the more recent psychobiographers, such as Dwight G. Anderson. Somewhere in between is the poet turned Lincoln biographer Carl Sandburg. Peterson comments that ``in constructing his portrait, Sandburg used whatever came to hand without much regard to authenticity.'' But Peterson finds only a few who search for the middle ground, and they stand out memorably from the crowd: Frederick Douglass, whose ``gnawing doubt'' about Lincoln's motives for emancipating the slaves informed his ambivalent speech at an 1876 ceremony meant to honor the assassinated president; and muckracking journalist Ida Tarbell, who, three decades after Lincoln's death, made a serious attempt to write the biographical truth after so many published lies. The organization of the book--mostly chronological but sometimes thematic--makes the going tough in spots, and Peterson is less judgmental than perhaps he ought to be regarding the corruption of research that has led to so many false portrayals of Lincoln. On the other hand, thinking readers will find it refreshing to reach their own judgments of the Lincoln treatments chronicled in a mostly fine piece of historiography.